Brocelïande brings a fresh sensibility to Celtic music from the British Isles and the Medieval and Renaissance music of the European courts and countrysides. 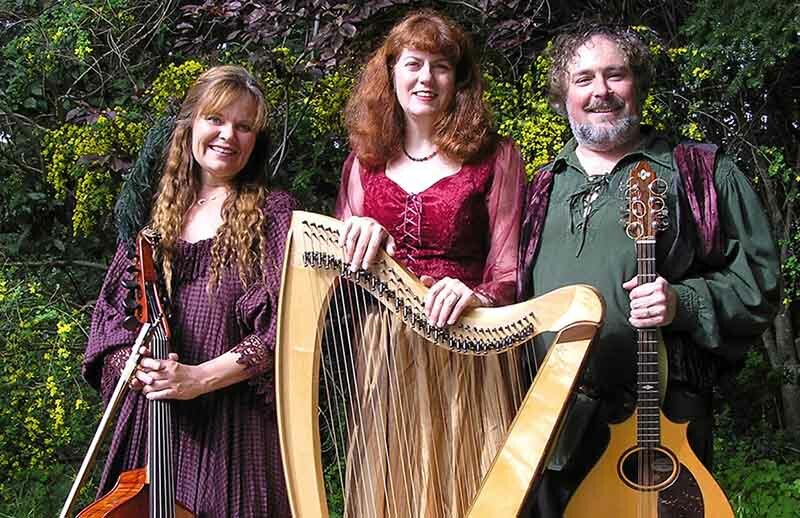 Their stellar vocals and entrancing instrumental arrangements enliven each tune with captivating combined textures of the Celtic harp, octave mandolin, cello, guitars, recorders, nyckelharpa, flute, tin whistle, percussion, and the one-of-a-kind custom ten-stringed “hardanger cello d’amore!” The trio’s extensive repertoire includes original arrangements of traditional and Early music and ranges in feel from upbeat Irish dances to beautiful ballads to enticing a capella madrigals. Multilingual lyrics, from Medieval French and Portuguese to Old Scots and Gaelic to English, speak of love and longing, quests and revels, magic and transformation. Brocelïande uplifts their audiences and provides a sonic sanctuary for a time, honoring the elements of Nature and celebrating the human experience. Brocelïande is three virtuoso musicians: Margaret Davis (soprano, Celtic harp, recorders, flute), Kristoph Klover (tenor, guitars, octave mandolin, tin whistle), and Kris Yenney (alto, cello, nyckelharpa, percussion). Brocelïande is represented by Sugo Music, has released 7 CDs on the Flowinglass Music label, and appeared in the Disney movie “Bedtime Stories.” They are the only American musical group to have received permission from the Estate of J.R.R. Tolkien to record and perform their original settings of Tolkien’s poems, and they will be performing some of those tonight. Visit www.broceliande.org for more information. 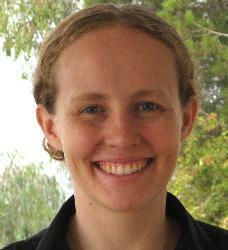 Ruth Murray Clay is a professor of astronomy and astrophysics at UC Santa Cruz. She received her bachelor’s degree in physics and astronomy at Harvard University and her master’s and Ph.D. degrees in astrophysics at UC Berkeley. In 2015, Murray-Clay won the Helen B. Warner Prize for Astronomy, which recognizes the exceptional contributions of astronomers under the age of 36. Murray-Clay studies the formation and evolution of the solar system and of planetary systems around other stars. She explores a broad range of physical processes that contribute to the ultimate structure of planetary systems, including the evolution of the protoplanetary disk, planet formation, gravitational dynamics, and the evolution of atmospheres. She also studies objects in the outer reaches of our solar system for clues to its dynamical evolution.